On April 19-21, 2020, the Global Student Leadership Summit (GSLS) will host over 2,000 student leaders and educators from over 15 countries for three days in London, Ontario, Canada. The second bi-annual GSLS will feature over 40 world-class speakers, interactive workshops and peer collaboration. These students and educators will have the opportunity to make real, valuable connections and work together to better their communities, creating a clear vision for our future. Working with civic, educational and corporate partners at the local, national and global level, GSLS will be a life-changing marquee event for the future leaders of the world. The event is run by Canada's premier student leadership organization, Youth Leadership Camps Canada, and will be filled with substantive information, real people, making real change, and an unbridled dose of positive energy. The Outcome? To create, to change the conversation, to bring inspiring messages of hope and leadership to thousands of world wide youth leaders! To create a positive ripple in the world! These leaders will take over the downtown core of one Canada's greatest cities, and leave a legacy of leadership behind. The second ever GSLS will be an event that the game-changers of tomorrow will not soon forget. In order facilitate a stronger conversation, and insure that GSLS leaders follow through with the energy and inspiration from the Summit, all of our speakers and facilitators are divided into content-based categories. GSLS wants to change the global conversation for the leaders of tomorrow. In doing so, we recognize that there are many facets of leadership, and areas of interest for our delegates. Kara Gunnarson is a graduate of Queens University with a Bachelor of Arts in Health Studies and most recently graduated from Georgian College with a post-graduate certificate in Fundraising and Resource Management. She finds that she learned the most in her post-graduate experiences in her leadership opportunities with many different clubs and committees on campus - most specifically her obsession with event planning. Her desire to become involved was largely influenced by attending the Ontario Student Leadership Conference (OSLC) in high school. She has now come full circle working with this amazing company that runs both OSLC and now GSLS. A self-described wanderlust. Kara blames her childhood on her inability to sit still. She grew up in St. Petersburg, Florida, Boston, Massachusetts and most recently Orillia, a small town in Central Ontario. After graduating, Kara travelled throughout Europe and Southeast Asia. Her favourite part about travelling is meeting new people, exchanging stories with locals and fellow travellers and experiencing the culture of a new country, city or even just neighbourhood. Kara is extremely excited to be involved with this world-class event combining both her passion for leadership with her love for meeting new people from all over the world! Ian Tyson has been a professional speaker, and also planning conferences and events since 1989. 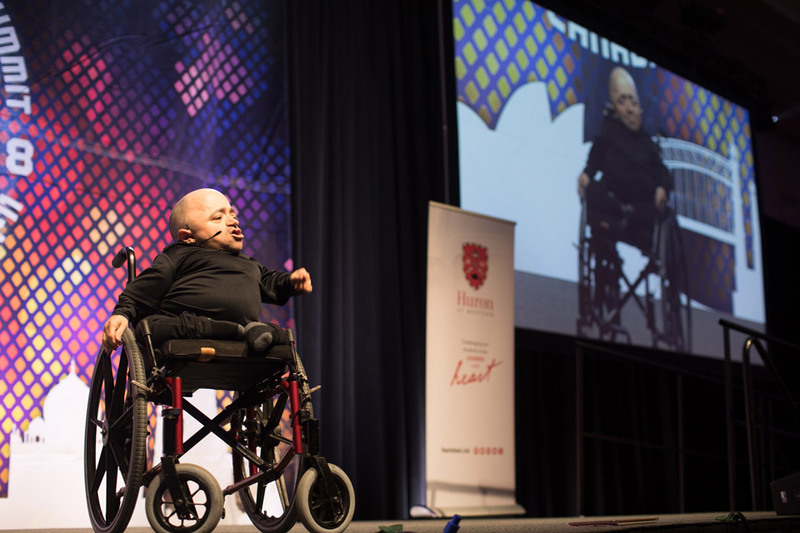 He has entertained and inspired countless students, educators, and corporate clients in his career. Ian's drive has always been linked to furthering student leadership in Canada and around the world. In 2009, he was named a "Leader of Distinction" by the Canadian Student Leadership Association for his contributions. He has run major fundraisers and events for charities and festivals. He has worked as a corporate facilitator and trainer for companies large and small. Ian calls the London area his home, and has two grown children attending Western University. Ash Baer has been working with student leaders for the past six years. She has a strong passion of working with students to create more positivity and authentic experiences. In 2016 she was recognized with the Ron and Mickey Johnstone Youth Leadership award, an award that recognizes one person under the age of thirty for their creativity and dedication to youth within the OntarioCamps Association. Ash uses her own leadership conference experiences mixed with her experiences being the Assistant Camp Director at Youth Leadership Camps Canada for the past four years to ensure that student leaders feel confident and supported in who they are in order for them to facilitate effective programs at conferences. Ash is extremely excited to work with the Leadership Ambassadors at the Global Student Leadership Summit in 2018! GSLS will be facilitated by Youth Leadership Camps Canada (YLCC), founded in 1992, YLCC has grown from working with 100 to over 200,000 youth per year and is now one of Canada's premier student leadership organizations. 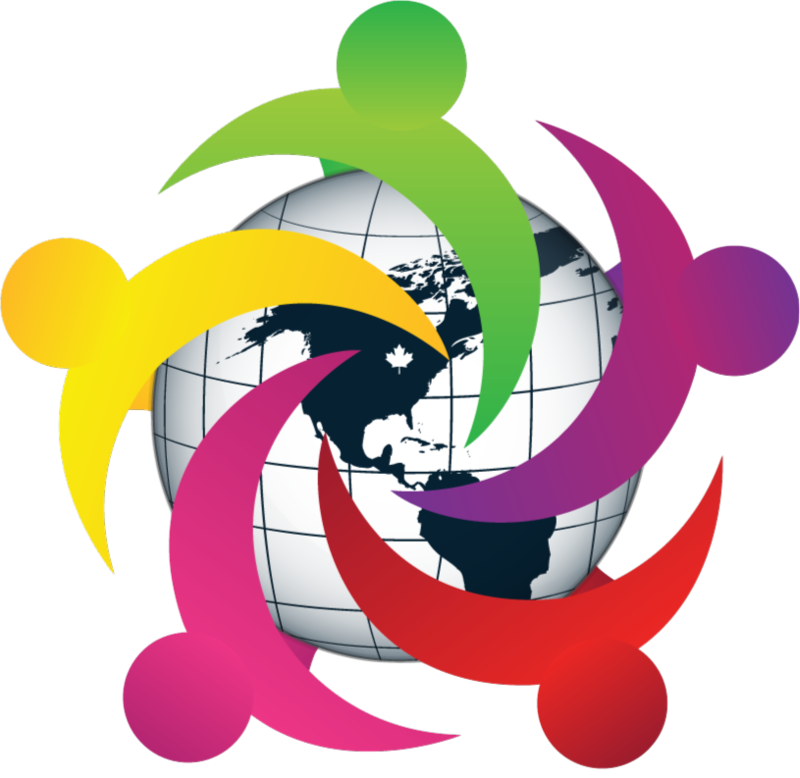 YLCC inspires and empowers today's youth to leave a positive impact on our world. With our innovative and dynamic staff, we instill in students a greater understanding of the short and long-term impacts of their words, choices and actions. 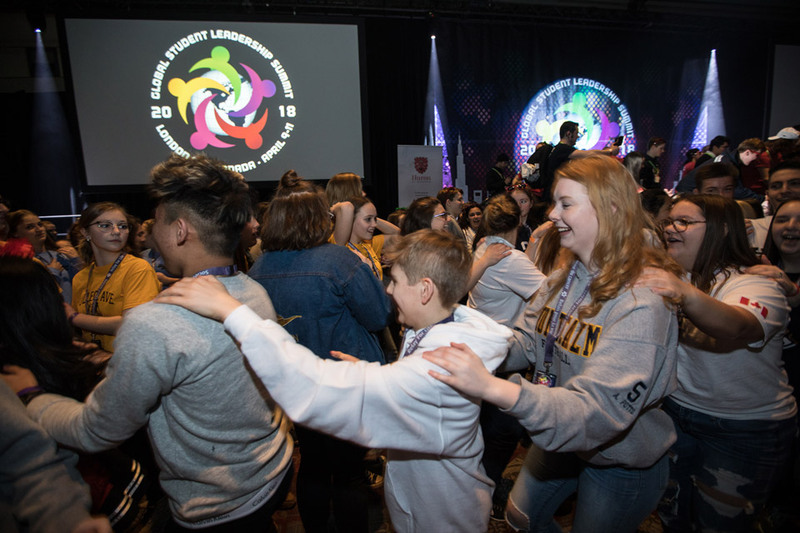 Today YLCC works with youth through more than fourteen different programs and events each year, including the Ontario Student Leadership Conference (OSLC). For the last 38 years, OSLC has been the marquee event for student leaders in the province of Ontario. 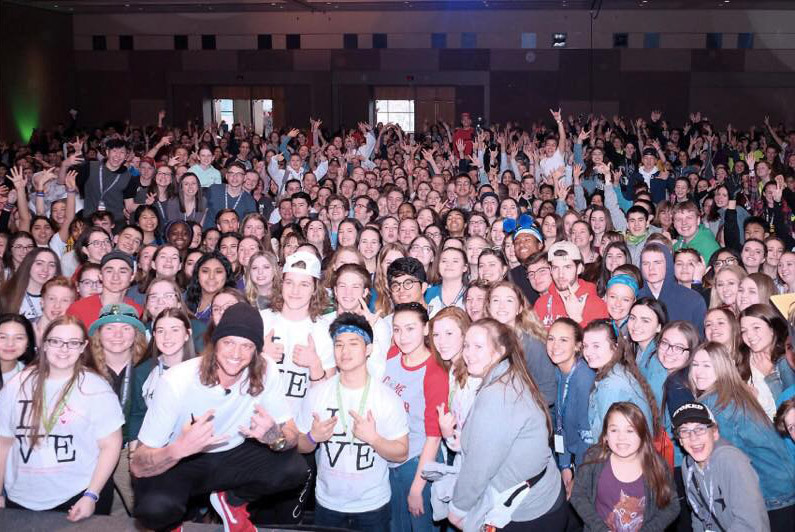 It is the longest running and largest student leadership conference in Canada, with over 2200 youth leaders joining us in Niagara Falls to participate in a dynamic three day conference with the largest group of speakers to teach, entertain and inspire. To get an idea of what GSLS 2020 will be like, watch our amazing video from GSLS 2018! Any student entering grades 7-12 (13-18 years old) in the fall of 2019. The adult chaperone/student ratio is at least 1 adult chaperones per 10 students. * Twenty-four students and four adult chaperones maximum per school/organization. * Please contact Kara (kara@ylcc.com) if you are from a National or large group contingency bringing more than 24 students. We have created the five content streams for the Summit listed and described below. These streams will allow students to make informed choices selecting workshop presenters students with to see and the lessons they wish to learn. All presenters will be associated with one of these five categories based on their main message. Leaders require a high degree of self-awareness and exceptional self-care. Presenters in this stream focus on whole health across many fronts; physical health and performance excellence, mental health, spiritual balance, and striving to be your best. Changing the global conversation starts at home. Leaders who create outstanding programs and events in their schools and communities are better positioned move their skillsets to larger stages. Presenters in this stream provide tools and motivation to leaders who want to create an impact from grass roots to the world stage. To lead the world, we must care for the world. Covering a variety of topics from the environmental sustainability, working in war torn and developing nations, to creating peace and prosperity. These presenters are leaders in their fields and will inspire you to take action. Change is created by the doers. Presenters in this stream are inspiring entrepreneurs, innovators, instigators, and those excelling at shifting paradigms. Leaders who strive to disrupt the norm in their quest for excellence will be captivated. Finding your cause and fighting for it is at the core of global change. The presenters in this stream are experts at waving their flag and creating a groundswell for their cause. Expect plenty of tools, tips, and empowering stories from these activists who raise their voice and ask you to join them. 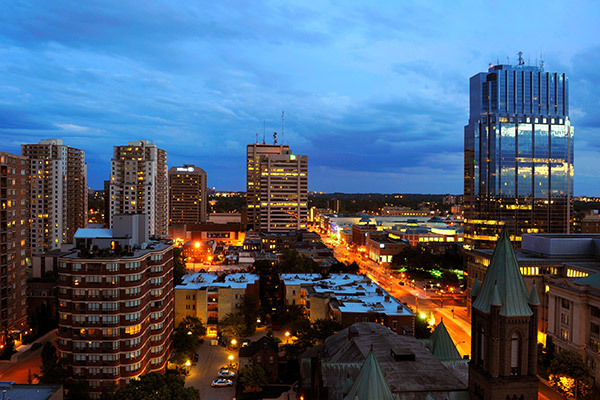 Set in the heart of Southwestern Ontario, London is the 10th largest city in Canada, and a hub for education, innovation and culture. Big enough for the "big city" experience, London is a tourist destination for travellers all over the world, while providing the safe and clean atmosphere of a small community, making those who visit feel at home. London is a "must visit" destination for fun and relaxation. At GSLS, you will get to experience a city that loves to laugh and live - a city where you'll find pristine natural conservation areas, spectacular parkland and kilometres of riverside trails and parks. London comes alive with a wealth of arts, entertainment, cuisine, shopping, adventure and much more - there is truly something for everyone. Held in downtown London, GSLS is in London's cultural heart, economic centre and the original neighbourhood. 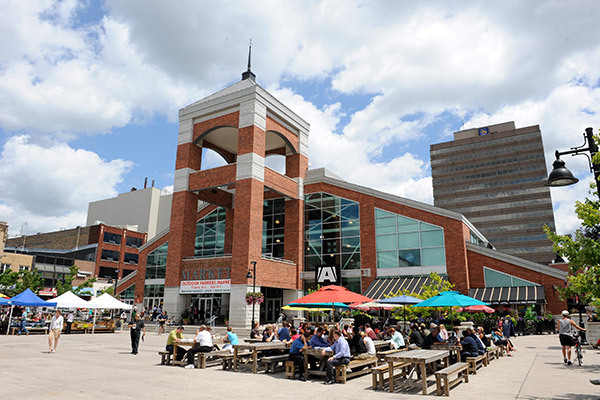 It is a centre of regional tourism, a unique shopping experience and dining destination, and a preferred host to national and international events. Located just 120 miles from Toronto and 125 miles from Niagara Falls, one of the 8 wonders of the world, London is the perfect destination to start your journey visiting some of Canada's most popular tourist destinations and spectacular sites. Opened in 1993, the London Convention Centre has a reputation of providing world class service to all who step foot inside the facility. 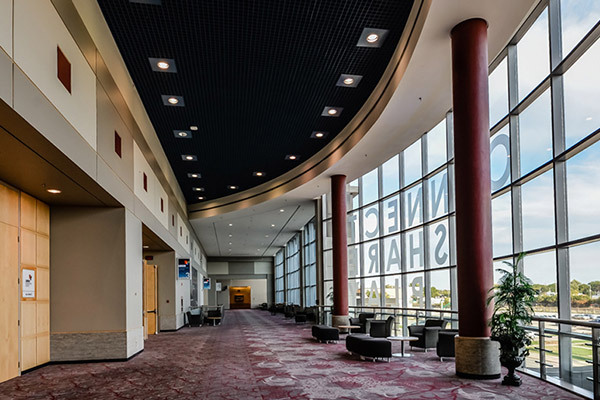 Boasting 70,000 square feet of meeting, conference and exhibition space, the LCC is a world class venue to host GSLS. On October 19, 2015, the 22-year old Convention Centre launched an important capital improvement project. 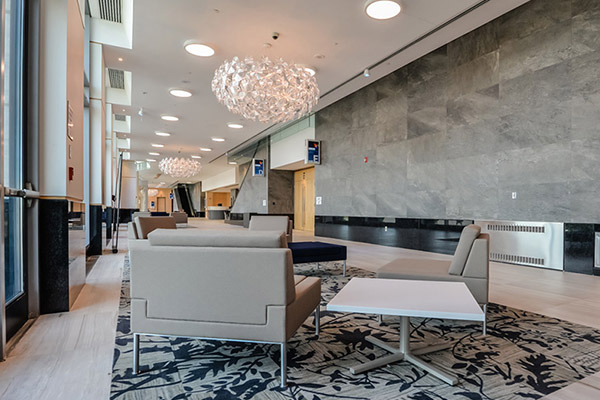 This $5 million investment to upgrade the LCC has furthered their everyday commitment to clients - best in class service and expectations exceeded with every interaction. Opening ceremonies begin on Monday April 9, 2018, however we will be offering early registration and an evening activity on Sunday April 8, 2018 to accommodate those travelling and arriving early. To find out whether you need an eTA or Visa and for more information on the process of applying for one please visit here. Hotel reservations will be available online here. We are working with hotels in downtown London to bring you the best prices. The summit will be held at the LCC in downtown London. It is recommended that you fly into Toronto Pearson International Airport. Please visit our Travel page for more information on how to get to London from Toronto. What are some fun things that I can do while in Ontario? Will there be medical services available in the LCC? Well-trained and well equipped volunteers from St. Johns ambulance will be located at the LCC for the whole duration of the conference to help with emergencies until medical assistance arrives. They will have access to a room located directly in the LCC for convenient, private service for any emergencies. Registration includes FULL ACCESS to all conference events and breakfast either at the LCC. Please see our cancellation policy here. For more information, please contact Kara Gunnarson, Summit Coordinator at kara@ylcc.com. Can I volunteer for the summit? If you would like to volunteer please contact kara@ylcc.com for more information or visit our Get Involved page. Can I be a sponsor for the summit? If you would like to help make this conference a success and sponsor please download our sponsorship package here. Please contact kara@ylcc.com for more information. How can I get involved before the summit? There are a number of ways to get involved in the lead up to GSLS. First, sign up for our newsletter to stay up-to-date on all the latest program additions, speakers, attractions, etc. You can also join in on the discussion with us on social media. Do I need to choose my session in advance? No need to chose before – you decide while you are at GSLS. We are still working on this – check back closer to the summit! Will the program be available in multiple languages? All print material will be in English. We are working on getting translation via Bluetooth for all sessions but it is recommended that all delegates are comfortable with English. When will the summit program be announced? You can view the basic schedule here. We are announcing speakers almost daily so please connect with us on Facebook, Twitter and Instagram! Our full schedule will be available closer to the summit. When will the summit App be ready? The summit App will be available a few weeks before the summit.